You must be a member of the Rotterdam Photography Group to attend this activity. Would you like to join this group? From 6 to 10 February, Rotterdam will be the scene of art as it will be the annual Art Rotterdam Week. Among other exhibitors, also Protected content will open the doors to a very special exhibition that explores the meaning of human nature through life and death: the driving forces of existence. 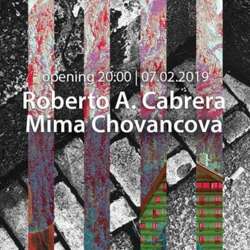 The new exhibition features the works of photographer Roberto A. Cabrera (Spain) and Mima Chovancova (Slovakia). Roberto speaks in his photo-series about the way we are so closely related to living things and how important it is to us as humans. We are physically and emotionally interdependent as living beings on this earth. In addition, these are beautiful photographic subjects! Each scene, like each person, has its own personality, physical characteristics, and emotional expressiveness. Mima on the contrary, in her works is exploring tribute to Slovakian culture and rituals surrounding death. By studying the rich cultural heritage that has been handed down through written accounts and visual representation, small hidden treasures arose which gave Mima a unique insight into the ability of processing loss. The opening of the exhibition starts at 18.00. I will be there around 19.00 but you are welcome to be there at the very opening. See you there!